'I liked white better,' I said. Note the chiastic word order of the repeated Radagasts and Sarumans. Saruman begins with Radagast's color and ends with his own; ends with Radagast's simplicity and foolishness and begins with his own wisdom; and in the middle, further accentuated by capital letters and hyphenated compound words, are the characteristics on which he heaps the greatest scorn and in which he takes the greatest pride: Bird-tamer and Ring-maker. Chiasmus is of course an ancient rhetorical device, long a part of the arts of persuasion for which Saruman was justly renowned (TT 3.ix.567). Yet Gandalf wryly punctures all his rhetoric with a few pointed words. The subtlest and best touch of all, however, is 'Bird-tamer' itself, which reveals far more about Saruman than Radagast. For Saruman can only see Radagast's relationship with the birds as one of power and mastery. In Saruman's eyes he has tamed rather than befriended them. Seeing no possibility but power, he parallels and contrasts Radagast's Bird-taming with his own Ring-making. Thus his own rhetoric betrays him, revealing that mastery, not friendship, now characterize him and his relations with others. In/Of, Or, What's a Little Preposition Between Friends? *Obviously, this whole post is a joke. I am, however, following the tradition found in The Silmarillion (114, 234, 254, 298, 321, 331) and almost elsewhere else that he was a 'prince of Doriath', not the very late variation that he was of the Teleri of Aman. 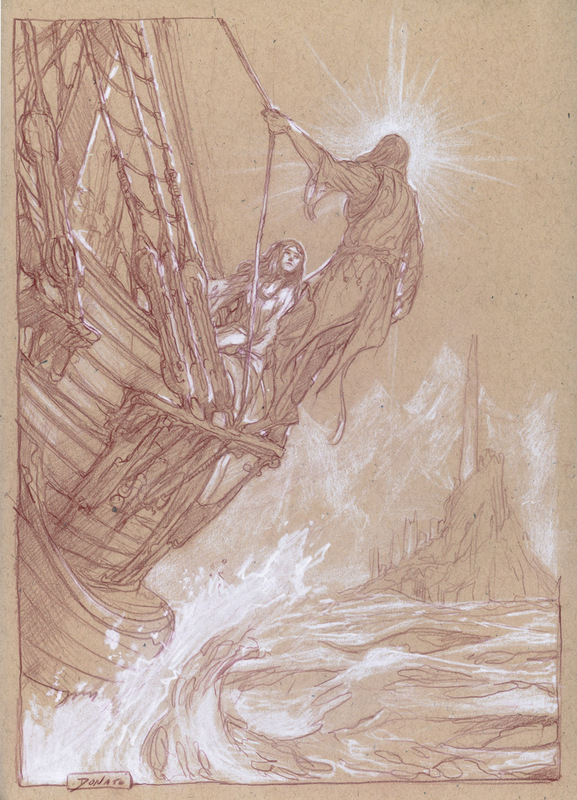 For discussion of Galadriel, Celeborn, and their history, see Unfinished Tales, 228-267. My last post looked at Celeborn's famously poor showing as the wisest of the Elves of Middle-earth. 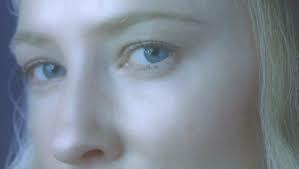 Here I want to take a quick look at Galadriel in the same scene. From the very first we can see that she perceives more than he does, not in the sense that she may be wiser or more intelligent than he is, but the juxtaposition of his words and hers suggests that her perceptions take in a wider world, at least as far as Gandalf is concerned. Celeborn and Galadriel do not share altogether the same frame of reference. She speaks of Gandalf as if she can still somehow sense him. She does not know where he is, or what he is thinking, but he is still out there somewhere. That Gandalf is 'hidden' in 'a grey mist' is an enticing detail, since when Frodo looks into Galadriel's mirror later in this same chapter, he twice sees a mist: first one that clears to reveal to him a vision of the Sea (FR 2.vii.364), which hobbits, mistakenly, regard as 'a token of death' (FR Pr. 7); and then he sees a 'small ship, twinkling with lights' 'pass away' into 'a grey mist' (FR 2.vii.364). That ship of course is the same one Frodo dreams (or has a vision) of in Fog on the Barrow-Downs (FR 1.viii.135), and upon which he sails into the West in The Grey Havens (RK 6.ix.1030). And in both of these passages the farthest shore is at first obscured by 'a grey rain-curtain'. What comes next in this scene is also intriguing. For Galadriel says not a word in response to Aragorn's euphemistic announcement of Gandalf's death. In fact she says nothing at all until he tells the tale up to their arrival at the bridge and the coming of the Balrog. When she does speak, it is to pull Celeborn back from his hasty remarks, to reaffirm that none of Gandalf's deeds were 'needless', and to greet with 'love and understanding' the member of the Company who has in fact suffered the most, Gimli, who has endured the loss of Balin and the dwarves of Moria, has seen his people's worst nightmare drag Gandalf into the abyss, and has so far met a rather hostile reception in Lothlórien (FR 2.vii.356). Is it an accident that she proceeds immediately from this to a statement that directly touches upon her wider perceptions and then to a demonstration of them? And with that word she held them with her eyes, and in silence looked searchingly at each of them in turn. None save Legolas and Aragorn could long endure her glance. Sam quickly blushed and hung his head. At length the Lady Galadriel released them from her eyes, and she smiled. 'Do not let your hearts be troubled,' she said. 'Tonight you shall sleep in peace.' Then they sighed and felt suddenly weary, as those who have been questioned long and deeply, though no words had been spoken openly. But for all the caution with which she warns against the indeterminacy of a future which is always in motion, there is something of which she is quite sure, as her use of shall attests. What can Galadriel mean? I believe we need to see her hint that she still perceives Gandalf in context with Gwaihir's statement to Gandalf that Galadriel had sent him looking for him (TT 3.v.502), which in turn leads to a question: why send an eagle to look for someone who had fallen to his death in a profound abyss beneath a mountain range? I would suggest that the future which Galadriel knew in part was Gandalf's death at the hands of the Balrog atop Zirakzigil and his return as Gandalf the White. (Recall that Frodo also sees Gandalf the White without realizing it in the Mirror -- 2.vii.363-64). It was only when Aragorn brought word of his fall at the bridge that she became certain, and stepped in to help keep the Company from straying too far before he returned. A look at the chronology presented in The Tale of Years is revealing here. 15. The Bridge of Khazad-dûm, and fall of Gandalf. The Company reaches Nimrodel late at night. 17. The Company comes to Caras Galadhon at evening. 23. Gandalf pursues the Balrog to the peak of Zirak-zigil. 25. He casts down the Balrog, and passes away. His body lies on the peak. 15. * The Mirror of Galadriel. Gandalf returns to life, and lies in a trance. 16. Farewell to Lórien. Gollum in hiding on the west bank observes the departure. 17. 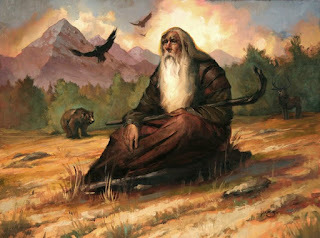 Gwaihir bears Gandalf to Lórien. The first thing we may notice is that Galadriel's initial perception that Gandalf was 'hidden' was more accurate than what the Company had actually seen with their own eyes. She learned of his fall when she met the Company on 17 January, but Gandalf did not die until the 25th. It also seems hardly coincidental that the day on which he returned to life is also the day on which Galadriel brought Frodo and Sam to the Mirror and told them it is time for the Company to move on (FR 2.vii.366). * The facts of the story almost invite us to conclude that Galadriel kept the Company in Lothlórien, 'in the ageless time of that land where days bring healing and not decay' (TT 3.v.503), until Gandalf revived; only then did she send them on their way, rested and recovered from the shock of the loss they thought they had suffered, and tested in ways that prepared them all, even perhaps Boromir**, to be the right people in the right place at the right time. *Hammond and Scull (2005) 718, point out that editions prior to 2005 wrongly dated the Mirror episode to 14 February, which does not match the events as described in the text. The episode takes place 'one evening' (2.vii.360), and Galadriel tells Frodo and Sam the Company must depart 'in the morning' (366). Directly after she says this, at the beginning of the next chapter, we read 'That night the Company was again summoned to the chamber of Celeborn' (2.viii.367). The demonstrative that and the adverb again can together refer only to the same evening as in The Mirror of Galadriel. Since the morning on which the Company departs is 16 February, and there is no evidence for an extra day, 15, not 14, February must be the correct date. This has no effect on my argument, but readers with an edition from before 2005 might note a discrepancy that needs to be explained. **This may seem surprising, but it may be that by confronting Boromir with the temptation he felt to take and use the Ring Galadriel actually saved him. The self-knowledge she gave him created a conflict within him that came to a head on the slopes of Amon Hen. Without that knowledge or that conflict, he could never have pulled himself back and repented for his failed attempt to take the Ring from Frodo. His successful repentance forms an interesting counterpoint to Gollum's failed repentance. So I guess I've just thought up another article. You know, I'm convinced that at the end of one of these veins of mithril is a Balrog.